You are currently on our UK website, would you like to visit our US website? Use Add to ideas + to collect your trip ideas, share with friends or make an enquiry. Collect your trip ideas, share with friends or make an enquiry. 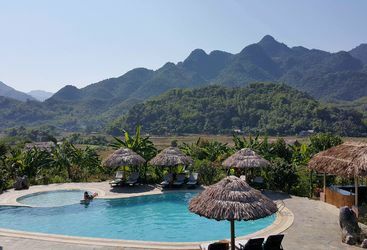 In the countryside outside of Ninh Binh, stay at Tam Coc Garden hotel, while in the Mai Chau area, we'd recommend Mai Chau Eco Lodge, where you can get a real sense of local Vietnamese culture. We rarely boast about our service but we believe it's what sets us apart and makes us truly original, so please forgive this moment of unabashed self-promotion. Live like a local and get under the skin of a destination with our in-country concierges. Our team will meet you at the airport and fast-track you through. Enjoy the comfort of an airport lounge with free drinks and snacks, even if you're flying economy. We'll speed you through check-in. We'll whisk you through the security queues (where available). We are proud to off-set 100% of the carbon generated by our clients' flights. Avoid airlines' random seat allocation. From our 24hr helpline to our expert local guides and selection of handpicked reading lists. Get the latest travel advice, information and inspiration in our newsletter. 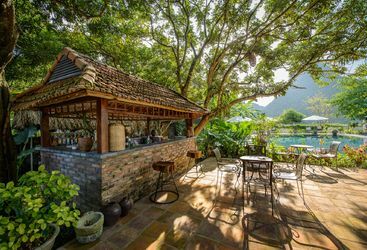 Our beautiful, free brochure is packed with insider information and incredible travel ideas from every corner of the planet.